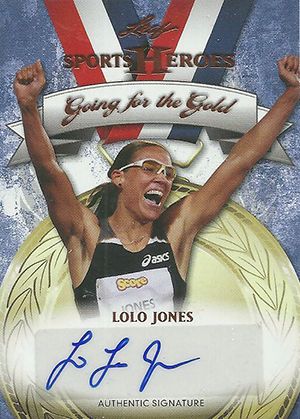 2013 Leaf Sports Heroes is an all-autograph release that brings together athletes from all corners of sports. Every box comes with six signed cards. 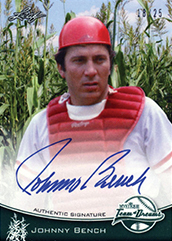 The Base Autographs checklist has more than 120 different subjects from baseball, football, basketball, hockey, soccer and others. The diversity continues with the eras these athletes represent. It is a broad mix of current and past stars. Canton's Finest and Springfield's Finest focus on members of the football and basketball Hall of Fame. Going for the Gold Autographs look at Olympic athletes from all areas. 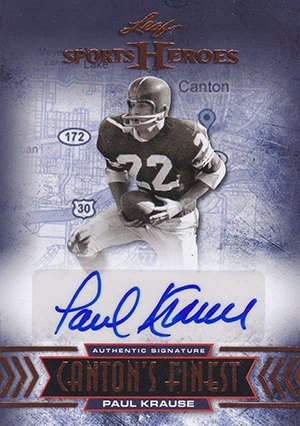 USA Signatures takes a similar approach, although with two autographs. Team of Dreams Autographs are limited to 25 copies each. 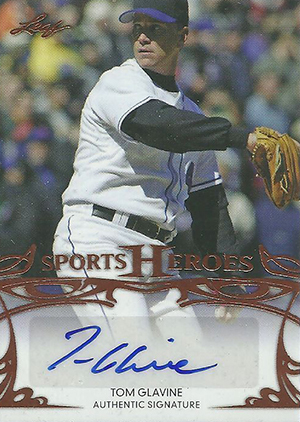 Signed on-card, the players all participated in a charity event at the Field of Dreams in Iowa. 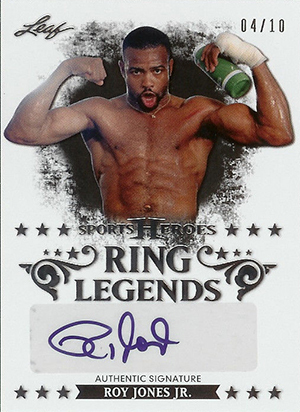 Other themed parts of 2013 Leaf Sports Heroes include Ring Legends Autographs (boxing and wrestling), Multi-Signed Autographs, Inscription Autographs and Loyalty Autographs that highlight players who stuck with one team throughout their careers. 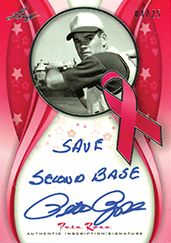 Pink Ribbon Inscriptions take a different approach to raising breast cancer awareness. Each card comes with a custom note of praise and support. 2013 Leaf Sports Heroes adds to a couple of previous Leaf sets. Damian Lillard is featured on some previously unreleased Leaf Valiant Autographs. 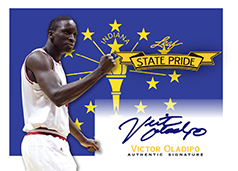 Victor Oladipo is showcased on a State Pride Autograph card. 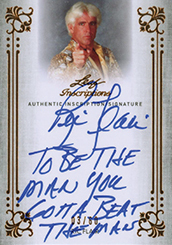 Nearly all parts of the product come with numbered parallels and autographed printing plates. Not complete. Work in progress. SP denotes short prints. Though not numbered, confirmed SP print runs are also noted. Short prints only apply to base set.